With hiring needs becoming more complex and unpredictable, recruitment process outsourcing partnerships are helping companies navigate the future of work. Recruiting the right candidate at the right time with the best experience is a complex process. From matching candidates to the right job, to delivering the right assessments, assessing job-fit and supporting them through an onboarding process, there is a need to balance efficiency and personalization by leveraging automation where needed. Often companies may not have the level of expertise and deep knowledge to navigate the complexities of the talent market – from mismatched job titles, lack of standardized skills sets, understanding the context - country, business, and industry, there are a number of issues that needs to be addressed. This is where ‘Recruitment Process Outsourcing’ (RPOs) are increasingly playing a critical role in enabling companies bridge the gap between their expectations and the realities of the job market. 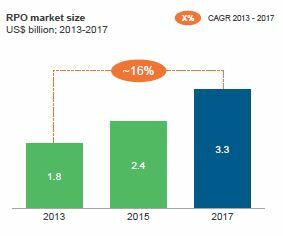 The Global Recruitment Process Outsourcing (RPO) market is one of the fastest growing outsourcing markets globally. A study by the Everest group shows that the RPO market has shown consistent double-digit growth since 2013. A market that was estimated to be $1.8 billion in 2013, as of 2017, was estimated to have grown to $3.3 billion. The Asia Pacific region saw robust growth mostly led by single-country deals. China, India, Japan, and Malaysia saw an increase in single country RPO deals. However, Australia is the dominant RPO market, commanding a market share of over 60%. In India, however, the RPO industry is still infant. This is because there’s less awareness about how to involve RPOs in the recruitment process. There are also misconceptions about using RPO services, and it is correlated with letting go of the recruiter’s job and/or the recruitment function of the company. This article will help you understand how RPOs support the business and what unique insights they offer to help recruiting teams hire faster and better. The job of an RPO is not just to find talent, but to understand the strategy, understand the demand, identify the EVP, attract rather than source. And once a candidate is selected, they are offered a job and ensure they are on-boarded. Traditionally, RPOs were leveraged to save cost, to deal with instances of scaling up and down of talent as per business requirements, and to mitigate risk. But even with existing RPOs, according to research by Everest group, companies continue to face challenges due to the rapid development in technology and skills related to it, the changing candidate base, difficulty in forecasting when there is a sudden need to recruit and ineffective branding. The ‘next-gen’ drivers of RPOs include having an improved hire quality by leveraging analytics, accessing scarce talent by employing specialists, mitigating new hire attrition, and sharing advanced analytics about the talent acquisition value chain. RPOs are also helping companies identify potential buyers. If you give a talent acquisition job to an RPO partner, they come with the industry knowledge, experience, and other structural know-how. They are also able to bring their expertise of working across geographies and many years of experience. 2) Segmented RPOs – which refer to RPOs which manage a part of the recruitment process. 3) Project PROs – It is a term-defined recruitment engagement. In India, the leading sectors that use RPOs include financial organisations, banks, NBFCs, pharmaceutical, and life sciences. Apart from the above, there are a few selected companies in IT and semiconductors, the auto industry that turn to RPO services. Beyond building a pool of potential candidates, RPOs are able to offer insights that can help align the strategy for the future with the goal of enabling strategic workforce planning. Analysis of the tenure of the permanent vs. temporary talent, understanding the lead time, demand variations, and utilising multiple models to understand supply channels are some examples. Having access to dashboards that present business leaders with snapshots of talent acquisition priorities vis-a-vis business needs will be useful to articulate the issues pertaining to demand and supply of talent. 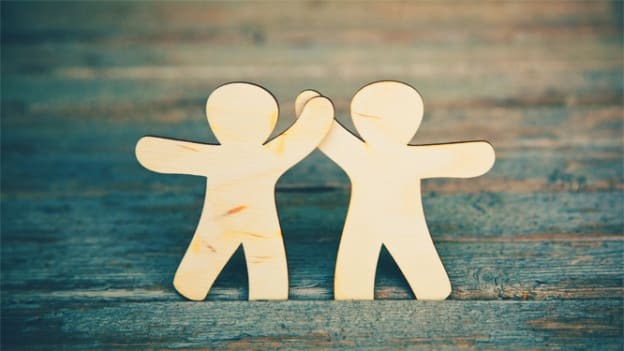 There are a number of steps that companies need to take while partnering with RPOs – to make sure that the relationship is fruitful for both the parties. HR professionals need to actively partner. Change management is a critical factor when engaging with RPOs. This is because there are a number of processes and procedures that will have to be dealt with, depending on the sector and line of business. Stakeholder management: The relationship with RPOs should be a co-creative process. And managing expectations and getting multiple stakeholders onboarding including business and HR leaders, recruiting team and the RPO will be critical to the success of the project. With this, organizations are set to reap and benefit from the talent crunch situations they could be in and achieve their business objectives and chart their way forward. To read more about challenges around talent acquisition and putting a strategy to overcome them click here.